1m length of flat channel ducting. 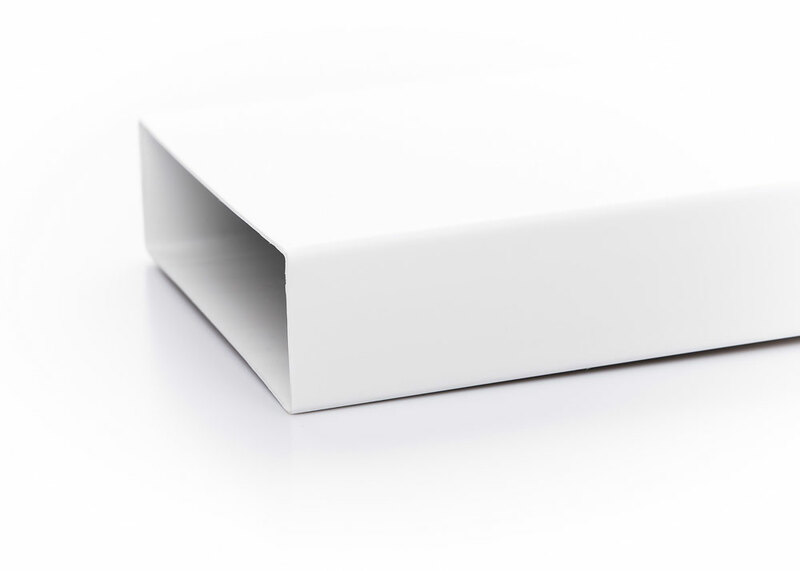 Part of Rytons 125mm (204mm x 60mm) RytDuct® Range. For use in conjunction with cooker hoods and extraction fans with a maximum output of 500m³ per hour. 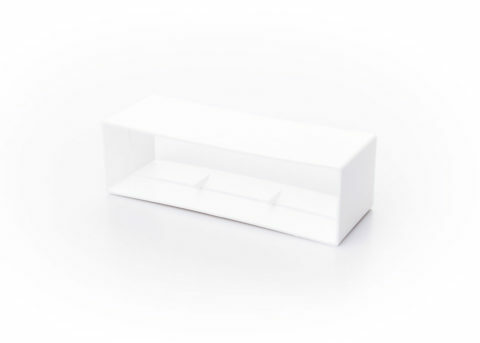 204mm W x 60mm H (overall external) x 1m L.
Rytons Rectangular Wall Plate RD5WPR. 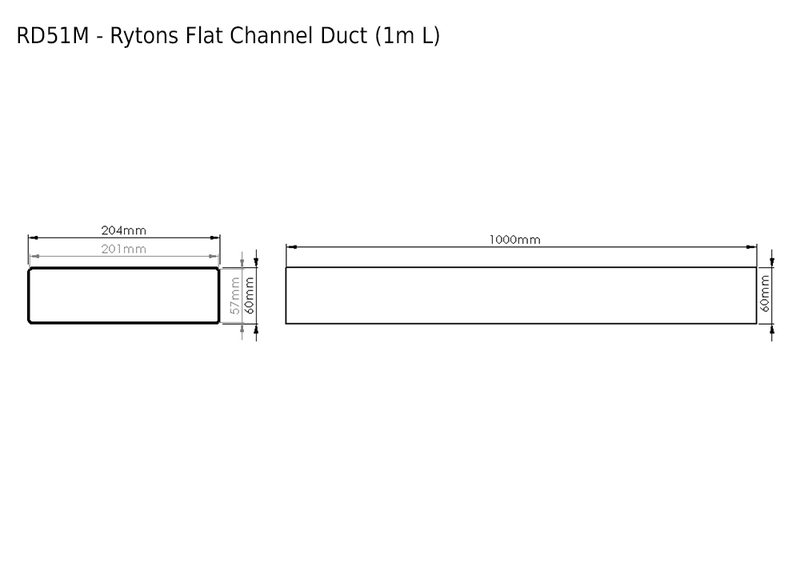 Rytons Flat Channel Horizontal Adaptor RD5FR. Rytons 90° Rotating Elbow Bend RD5EB. Rytons 45° Horizontal Bend RD5H45. Rytons 90° Horizontal Bend RD5H90. Rytons 90° Vertical Bend RD5V90. Rytons Flat Channel Duct Clip RD5CLIP. Rytons Flat Channel Connector RD5C. 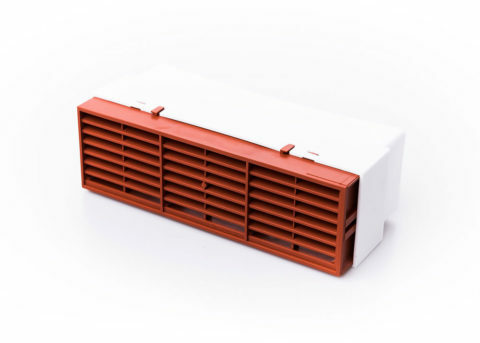 Rytons Multifix® Air Brick with Flat Channel Ducting Adaptor RD5MFAB. Flame retardant high quality plastic. Flame retardant material conforms to a minimum to DIN41092 B1, UL94 V-2 and in some cases UL94 V-1. If the flame was removed from the product it would stop burning as the material is self extinguishing. If tested products would pass to the standard of UL94 V-0.